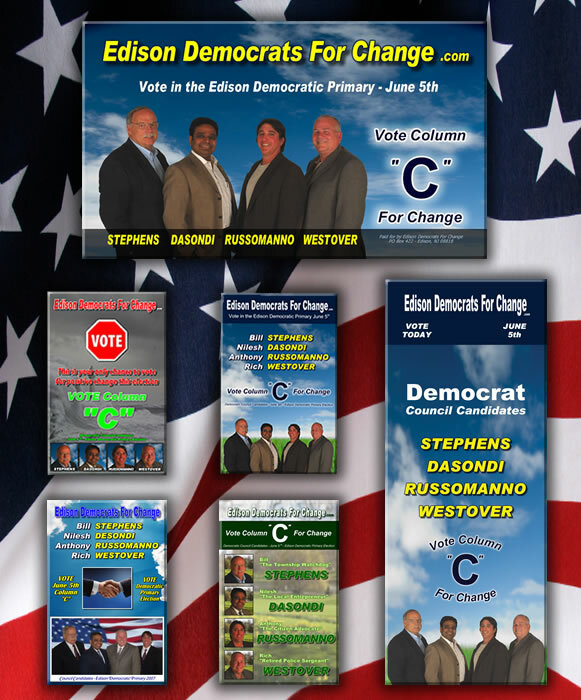 I was brought in again in 2007 to photograph and design campaign material. Glossy business cards, door hangers, and rack flyers were designed and professionally printed. I also designed black and white advertisements for newspapers or B&W printing using Adobe Illustrator. In addition, I designed and built a website for the campaign.